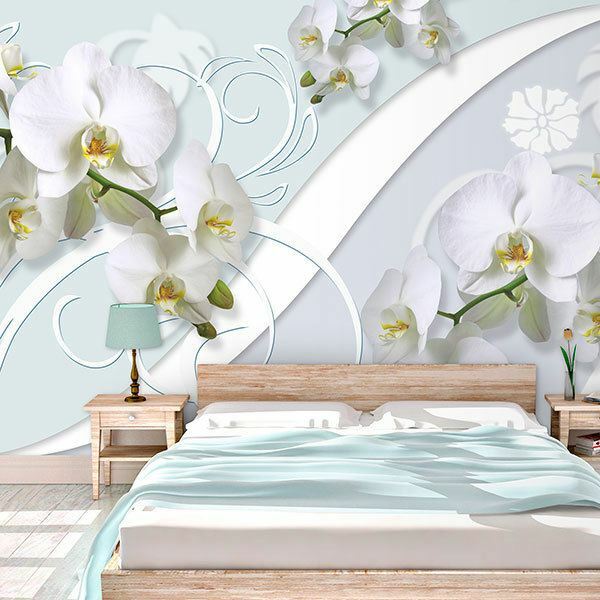 Wall mural Orchid Ritual. 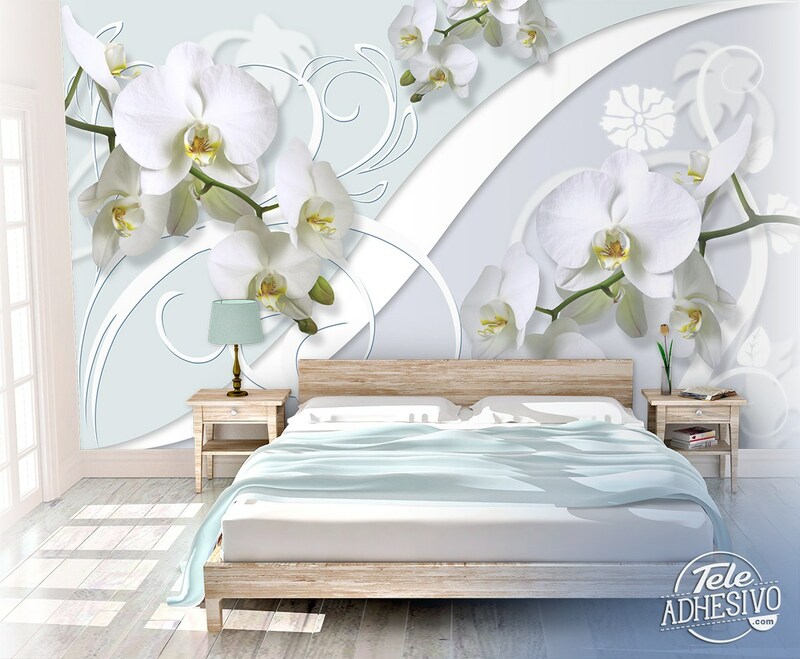 Combination of several branches with orchids with white or shaded ornamental drawings. The image is divided by a wave that divides the background into soft green and bluish colors. 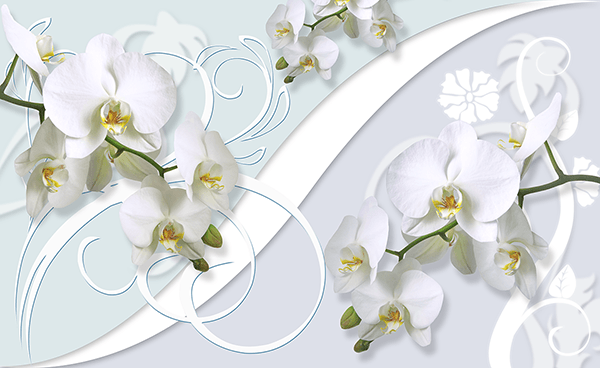 The orchids have a perfect symmetry, has a sweet and soft aroma.